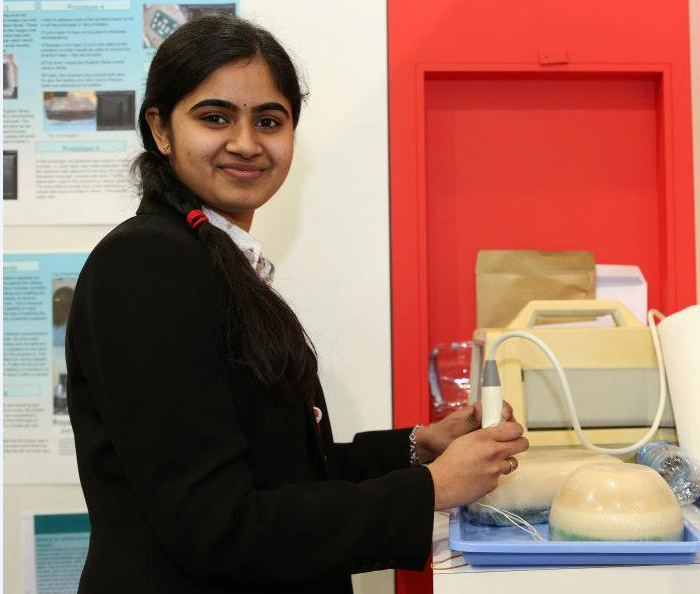 Sai is a winner of the UK National Science and Engineering Competition. We interviewed her prior to taking part at LIYSF 2013. My Name is Sai Maithili and I’m from Slough, Berkshire. I am currently in Year 13 at Kendrick School in Reading. At University, I am hoping to do Chemical Engineering. A cool fact about myself: I have moved seven different schools in five different countries! My project was about designing a homemade Ultrasound Training aid model for trainee Anaesthetists which cost about £12 (while commercial phantom with the same properties and lifetime costs at least £500). My project placement was in the Royal Berkshire Hospital, NHS Trust in Reading and was part of the Nuffield Bursary Scheme. I heard about the National Science and Engineering Competition (NSEC) from my supervisor and I decided to enter my project for the regional finals. The NSEC is a competition for 11-18 year olds living in the UK where they can showcase their projects in all STEM (Science, Technology, Engineering and Mathematics) subjects. After the regional finals, my project was selected for the National finals of the NSEC at the Big Bang Fair in London. Then my project went through to the top 5 senior projects in Engineering which meant I had to go through celebrity judging. 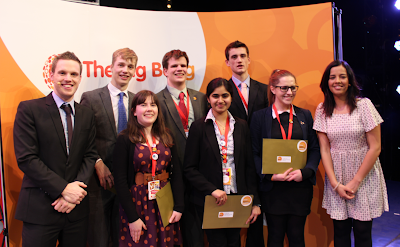 Finally, my project got a Highly Commended prize and I also won a place at LIYSF. Being in the NSEC and the Big Bang Fair was an amazing experience because I got to meet lots of like minded people and I also learnt a lot of things from looking at all the other projects. It was also slightly overwhelming sometimes (especially with the Celebrity judging) but it was all worth it in the end. What are you looking forward to most during LIYSF 2013? At LIYSF 2013, I am really looking forward to meeting people from all the different countries and also the lectures and seminars.